In a cavernous sound stage at Pinewood Studios, a little band of grown-ups are busy picking up giant, cloth-covered play shapes and passing them to a man atop a stepladder who bundles them into a big wooden box. Once the box is filled, an electronic winch lifts it up to the ceiling. 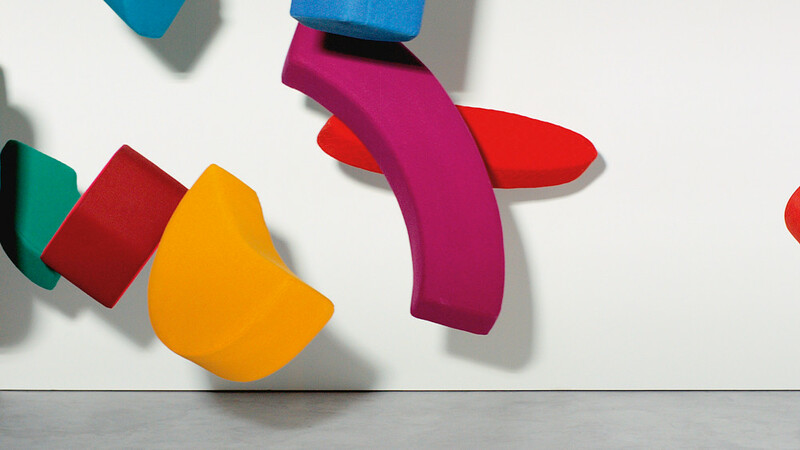 We’re here for a high-speed photography session, a motion picture ‘still life’ for the fabric manufacturer Kvadrat, whose range of upholstery – in all its different colours and textures – is displayed on the shapes. Top: Frames from high-speed photo session at Pinewood, 2010. Director: Matthew Donaldson. Art direction: GTF. Camera: Jason Berman, Love High Speed. Editor: Theo Cook. Below: Photography: Matthew Donaldson. Art direction: GTF. 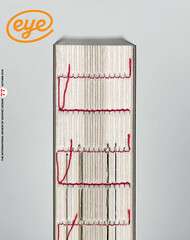 Client: Kvadrat. Someone shouts, ‘Watch your eyes,’ and blinding light illuminates the backdrop. An electronic catch releases the trapdoor at the bottom of the box, and the heavy, colourful shapes tumble to the floor. It’s over in four and a half seconds – and we hardly saw a thing – but photographer Matthew Donaldson rushes to a monitor to see what he’s captured at 1000 frames per second. What emerges, slowed down to 25fps, is an aerial ballet of upholstery as Jason Berman (of Love High Speed), operates the playback. The slow-moving tableau (like applied Bill Viola) is the logical, new-media extension to a campaign devised by designers Graphic Thought Facility (GTF). They wanted to show the client’s fabrics neither on rolls of cloth nor on items of furniture, so they commissioned a series of shapes, each of which was upholstered in a different material. Above: Kvadrat’s ‘Mutant Jukebox - Music & Sound’. Client: Kvadrat / Nowness. Agency: Graphic Thought Facility. Director: Matthew Donaldson. Production company: 2am Films, Dop: Jason Berman. Editor: Theo Cook. Sound: Mutant Jukebox. GTF’s Andy Stevens art-directed the original still life photo session at Donaldson’s studio, where they arranged the shapes on the concrete floor. Now Stevens has had to bundle them all into a hired van and bring them to Pinewood for the day so that they can add the dimension of time – Donaldson’s place isn’t tall enough. The canvas backdrop is a photographic reproduction of the original scuffed studio floor, and the massive 99kw lighting rig is there to replicate the flash used for the stills photography. 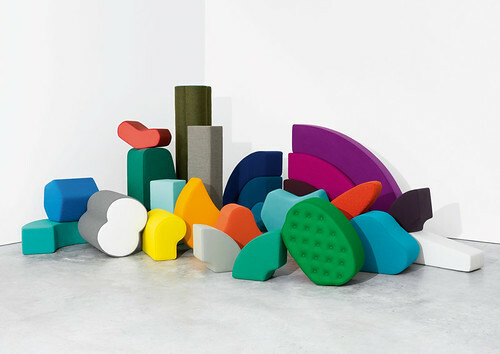 Above: ‘Throwing Shapes’ for Kvadrat, directed by Matthew Donaldson.